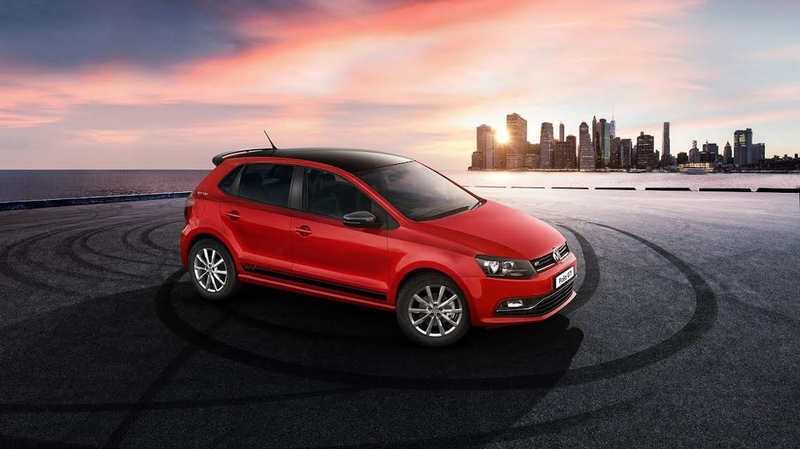 Volkswagen India has introduced a special edition version of the Polo GT hot hatchback for the domestic market. Maintaining its exclusivity, it will be a limited production run model and has been named as the GT Sport underlining its sporty credentials. To differentiate it from the Polo GT, which in itself is a notch above the regular Polo, Volkswagen has applied modifications to the exterior as well as inside the cabin. 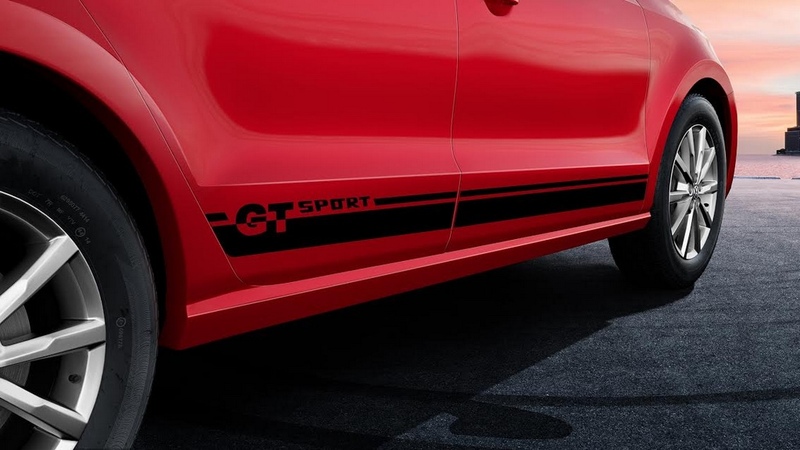 The VW Polo GT Sport is being made available in both petrol and diesel engine options to give customers versatility while choosing the model. Visually, the GT Sport comes equipped with black painted roof which gives a dual-tone character to the premium hatchback. The windows seem to be black tinted while the B and C pillars are in black colour as well. The most noticeable decal update is on the sides as the Volkswagen Polo GT Sport gets black stripes running in the lower portion of the side profile and between the wheel arches with ‘GT Sport’ lettering written on it. The exclusive colour options in which the GT Sport is sold are the Flash Red and Candy White. 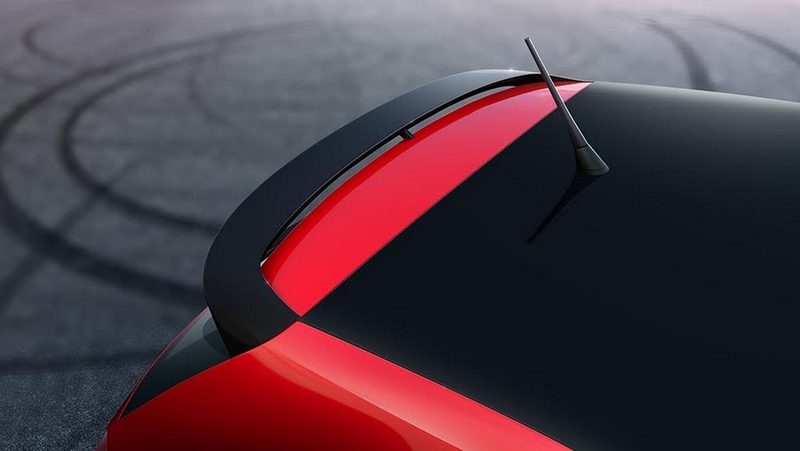 Further supplementing the exterior package is the glossy black spoiler integrated on the edge of the roof. 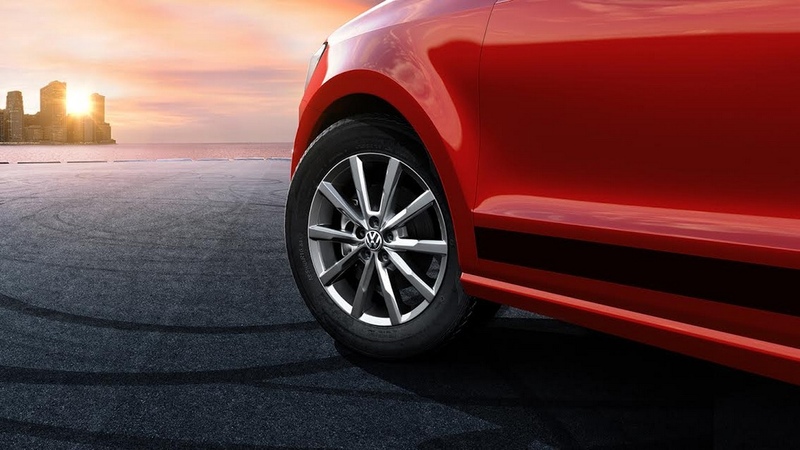 As opposed to the range-topping Polo GT that sits on 15-inch alloy wheels, the GT Sport runs on 16-inch Portago wheels. On the inside, the GT Sport features black leatherette seat covers with GT inscriptions. 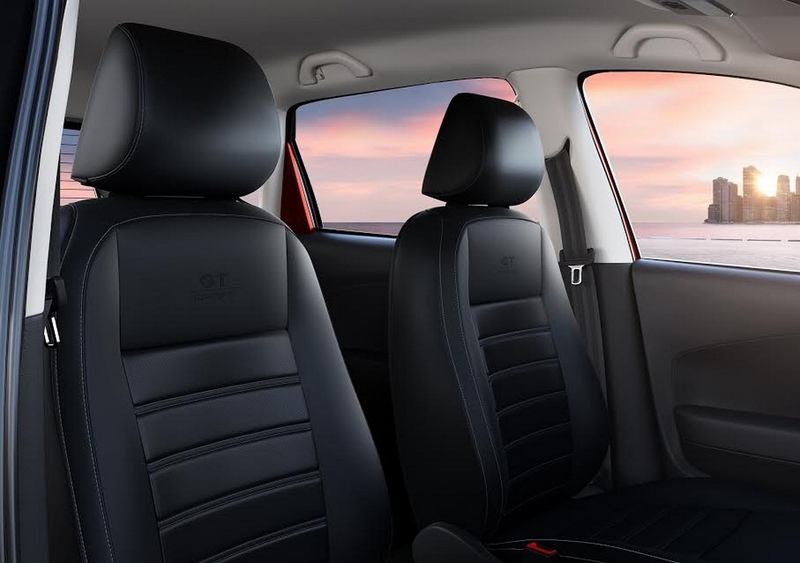 It is in contrast to the dual-tone fabric seat upholstery in the regular GT. Moreover, all other equipment in the GT have been carried forward. No mechanical tweaks have been made as the GT Sport will be powered by the same engines used in the standard GT. The 1.5-litre TDI inline four-cylinder turbocharged diesel engine is good enough to produce a maximum power output of 108 bhp at 4,400 rpm and 250 Nm of peak torque attained at 1,500 rpm. Sending power to the front wheels is through a five-speed manual transmission that helps in achieving economy of 19.91 kmpl. On the other hand, the 1.2-litre TSI petrol mill develops 103 bhp at 5,000 rpm and 175 Nm at 1,500 rpm. It is mated to a seven-speed DSG gearbox which is claimed to deliver a fuel economy of 16.47 kmpl. As for the pricing, the GT Sport comes at a premium of Rs. 20,000 over the regular Polo GT. 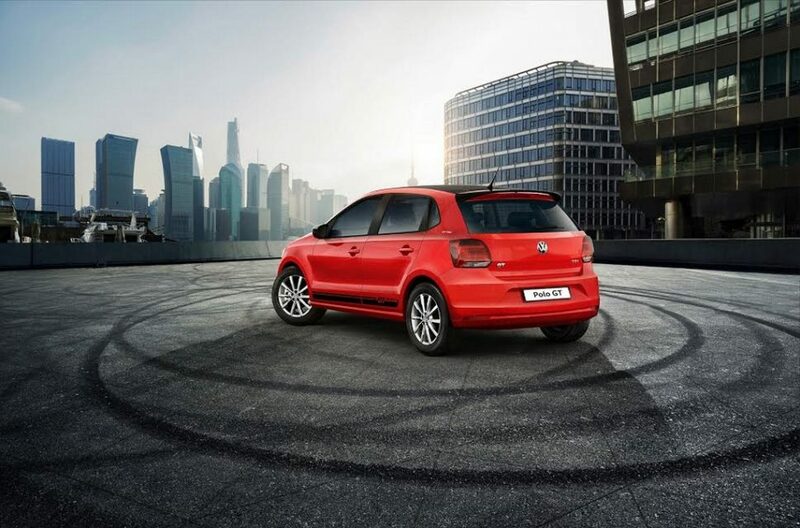 Currently, the Polo premium hatchback range starts at Rs. 5.46 lakh for the base Trendline petrol and goes all the way up to Rs. 9.21 lakh for the top-of-the-line GT TDI while the GT TSI is priced at Rs. 9.11 lakh (all prices ex-showroom, New Delhi). It the last few months, we have witnessed the arrival of limited edition models across the board. Right from the Datsun RediGO Sport and Renault Kwid Climber in the affordable space to the Maruti Baleno RS and Ford Figo Sports in a slightly higher price range, the buyers’ perception of owning cars with dual-tone exteriors and added cosmetic updates have increased steadily.